The mother of a missing student has described the four weeks since she disappeared as a "month of utter heartbreak and despair". Libby Squire, 21, has not been seen since she vanished following a night out on 1 February. Det Supt Martin Smalley said officers were trying to "understand exactly what happened that night". He added that detectives had consulted with "national experts from other forces and agencies". The force has also talked to water and search specialists. 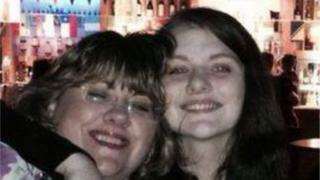 In a statement, the student's mother Lisa Squire said: "It's now been four weeks without our beautiful Libby. A month of utter heartbreak and despair." "As a family we are incomplete. The University of Hull student, who is from Buckinghamshire, was last seen at about 00:05 GMT on 1 February near her student home. Det Supt Smalley said that an appeal last week for four potential witnesses seen on CCTV in the area "did not produce any results in identifying the individuals". Det Supt Smalley said that he was "aware of speculation and theories as to what may have happened to Libby". He said the force had followed up "hundreds of leads and lines of enquiry and carried out intensive searches" over the last four weeks. "As time passes by with no positive indication as to where Libby is or what has happened to her, Libby's disappearance remains unexplained and we must increasingly consider she has come to harm," he added.